Rose Schrock is a Plain woman with a simple plan. 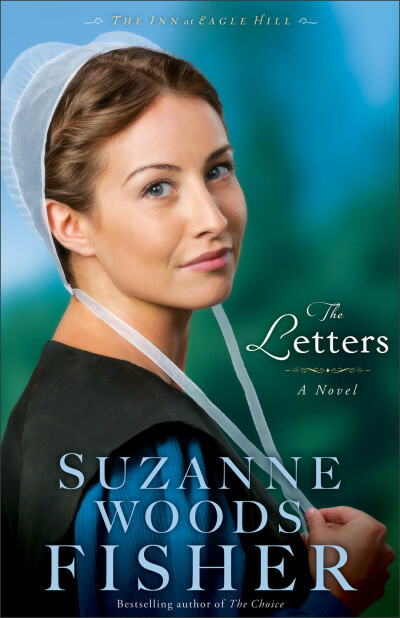 Determined to find a way to support her family and pay off her late husband’s debts, she sets to work to convert the basement of her Amish farmhouse into an inn. While her family, especially her cranky mother-in-law, is unhappy with Rose’s big idea, her friend and neighbor, Galen King, supports the decision and he helps with the conversion. As Rose finalizes preparations for visitors, she prays. She asks God to bless each guest who stays at the Inn at Eagle Hill. As the first guest arrives and settles in, Rose is surprised to discover that her entire family is the one who receives the blessings, in the most unexpected ways. And she’s even more surprised when that guest decides to play matchmaker for Galen King. I love how Suzanne can bring 3 separate stories of people and intertwine them together in a way we least expect. I love how Suzanne shows the Amish lifestyle, including things that are good, and those not as much. She is able to show the ones that are on fire for God, and those who may need to look a little more outside of themselves. Rose was a strong character to move back to her husband's home, to endure Vera her Mother in Law who was always so critical. Rose's idea for the bed and breakfast was a great plan, yet her MIL was set against it. I am super excited that this is just the first book in the series! Click to purchase a copy. Learn more at Suzanne’s website. When Should Family Counseling Be Used? Misty Harbor Inn Giveaway from Guidepost Books!